The night sky was illuminated by spectacular bursts of colour across the north-east as communities celebrated Fireworks Night. With Aberdeen’s display taking place at the beach tonight, other towns and villages put an extra fizz and bang into the weekend by holding their own events. 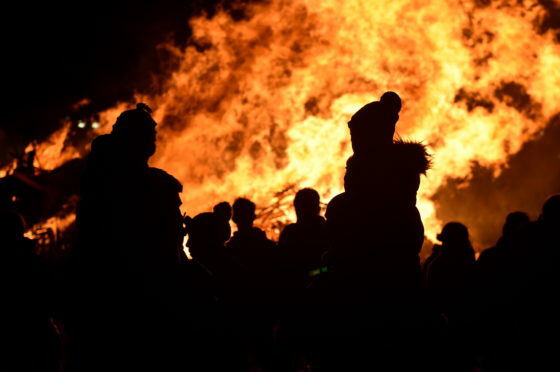 Banchory’s Bonfire Night was held on Saturday, where hundreds of people descended on the King George V Park to watch the stunning show overhead. Organised by the local round table organisation, Deeside was lit up during a 20-minute extravaganza that wowed the crowds. The attendees were also able to huddle together for warmth around a spectacular bonfire as they marvelled at the pyrotechnics. The organisers were praised for their efforts on Facebook in the hours after the event, with many already relishing the prospect of next year’s event. And, despite weather warnings initially putting the proceedings at risk, Rosehearty’s event went off with a bang on the same evening. In addition to the kaleidoscope of colours filling the sky, a towering pyre was also set alight at the caravan park. The organisers also did bucket shakes around the event which will go towards providing food parcels for local pensioners over Christmas. They posted on the event’s Facebook page: “We wanted to say a huge thank you to all of our helpers yesterday. However, the weather forced the cancellation of another event, at Cairnbulg Harbour, where officials were concerned about high winds potentially causing smoke damage to boats. Last night, Stonehaven held its annual display with hundreds of people relishing the high-octane bangs and flashes at Mineralwell Park. The event is organised by the town’s round table group. This evening, thousands of people are expected to make their way to the beach front in Aberdeen for the annual show. The event begins at 6.30pm with a charity firewalk and flame-tossing jugglers and will be followed by a 2o-minute display at 7.30pm. The best vantage points for the display are around the Beach Boulevard, Queen’s Links and Esplanade areas. As the country gears up to mark Bonfire Night, the Tories have called for greater protection for emergency services workers. North-east MSP Liam Kerr, who is also the party’s shadow justice secretary, will visit the fire service’s Dundee control room later tonight to lend his support to their Do Not Attack Me campaign. In 2016-17, 61 firefighters were involved in incidents where they were physically or verbally abused or had objects thrown at the fire engines – causing injuries to seven staff. Mr Kerr is also expected to announce a raft of measures to help emergency responders. And offenders would also be given longer sentences for attacking emergency services staff, and whole life sentences for murdering police officers. 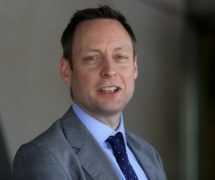 Mr Kerr is also advocating further protective equipment for emergency workers in risky situations, with consideration to be given to the increased roll-out of body cameras. The party has previously committed to banning the regular use of single crew ambulances. He said: “I firmly endorse the Scottish Fire and Rescue Service campaign ‘Do Not Attack Me’ and reiterate that any attempts to harm fire crews should not be tolerated. “This initial package of targeted policies would give emergency workers additional support as they undertake their vital work. “It is fundamental that all our emergency services have the right equipment to keep them safe and the legal support to keep others safe. What should you do for Hogmanay in the north and north-east this year?